Baby it’s cold outside! 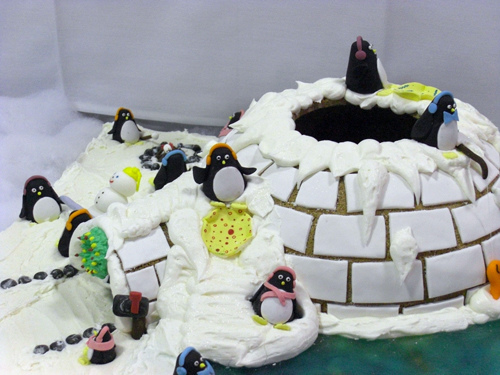 But it is not too cold for these fun loving Penguins playing in their Gingerbread Igloo House. These little fellows are having a blast sliding around, swimming, and checkout the snowman and holiday wreath too!